At face value, Peter Clothier’s Persist is a rallying call to starving artists everywhere to never, ever, give up. Under the surface however, it’s considerably more—a manifesto for art at a time when the art marketplace is buttoning up and people are confused about what art is and what it’s for. According to Clothier, some of that confusion has come from the art literati, in seeking to establish standards and to explain what people should and shouldn’t be looking for in various works. In one chapter he describes how, at a gathering of the art establishment, he inadvertently let loose the word ‘beauty,’ and promptly found himself sticking out of the crowd like a very sore thumb. This is just one of several personal disclosures he makes, AA style, in this series of essays. He describes himself as a ‘recovering academic.’ I relate to this self-description in a far more than abstract way, for my writing/teaching too is the product of a scholastic background from which I’m in constant flight. Clothier is on a mission to reinforce the artistic spirit in the face of relentless commercialism from which no one is immune. Yes, the starving artist is a heroic image, and the many millions of us who create art daily, while supporting themselves with a mundane ‘day job,’ draw comfort from this image. But he goes further and describes a yet deeper layer of the artistic spirit—the act of resisting the notion that our works are successful only if they sell. This is not merely a mistaken belief that one can throw off with a shrug, but a relentless current of the society in which we live and against which we must persistently strive; not just an act of will but a meditative endeavour in which we look past what’s presented as self-evident in search of a deeper truth. 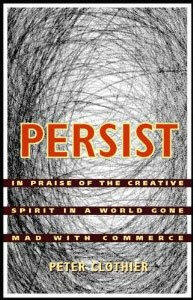 Here is the underlying theme of Persist: the notion that art is an introspective and subjective path to integrity. As I was reminded just last week by one of my own readers: to be authentic, the act of creation must stand on its own two feet. That said, once it’s finished it has to be promoted, for all art says something, and therefore demands an audience. It’s at this stage of the process, which involves a qualitatively different kind of creativity and far more brutal sort of persistence, that artists risk losing themselves. I don’t know the art world with any familiarity, but I do know the vicissitudes of selling a piece of writing, and especially of marketing a book in this age where there are more titles released each week than ever before, while publishers take on fewer and fewer per year. 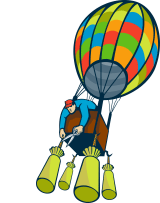 On the one hand, there are more small presses and self-publishing opportunities; on the other, the cost of promoting a book so that it stands out of the crowd has risen exponentially. The bottom line is, well, the bottom line. What used to be the creative side of publishing—risk-taking—is a dying art as publishers seek out sure bets. I can only presume the same is true of the art world. Clothier is author of The Buddha Diaries, a long-standing blog that you may have stumbled into as you google Buddhist issues. He’s a passionate advocate of mindfulness and describes in this book both the practice of sitting and the doing of art as an exploration of self. He’s emphatic about meditation being a non-transcendental affair, and gets what many would-be Buddhists don’t—that mindfulness is about dealing with what’s right in front of you. That often means pain and insecurity, uncertainty and confusion. He’s concerned not with bliss but with wounds, and in quoting Rumi and Leonard Cohen (“it’s where the light gets in”) he also reveals his poetic roots. This is the opposite of what most people want from meditation—tranquillity and escape—but it’s unambiguously what the Buddha was addressing. If you write, play, paint, sculpt or just daydream in any way that needs to be expressed, you’ll find Persist a friend to sooth your frayed nerves, comfort your lonely soul and energize your resolve. Art is ultimately a process in which you create yourself, and in doing so hopefully recognize that self as contingent and ultimately indefinable—something infinitely greater than one solitary creative soul. Clothier’s warm and engagingly authentic book is a breath of fresh air that will help you remember that. 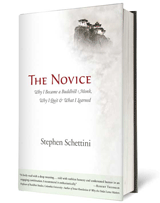 Stephen Schettini is director of Quiet Mind Seminars and author of The Novice: Why I Became a Buddhist Monk, Why I Quit and What I Learned (Greenleaf Book Group Press, Sept 2009). Thanks Gregg; if the review was good, it was because the book inspired me. Thank you for this review! It further affirms my purchase of “Persist” just moments ago. It’s one of those fun days where Spirit is guiding me here & there to learn of new works & new connections. I saw a Twitter post for Peter’s blog (by someone other than Peter), which led me there. I enjoyed the post & bought his book. I then followed one of his blog links to you & have enjoyed reading your work as well! Not to mention that we share a blog moniker 🙂 ‘Naked’ is my term for authenticity & vulnerability, as is evident in your own posts. I look forward to reading more from you. Please visit me on Naked Prayers! Next Next post: I, Fraud?